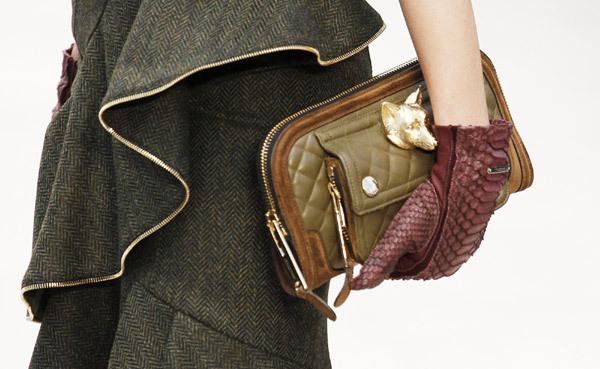 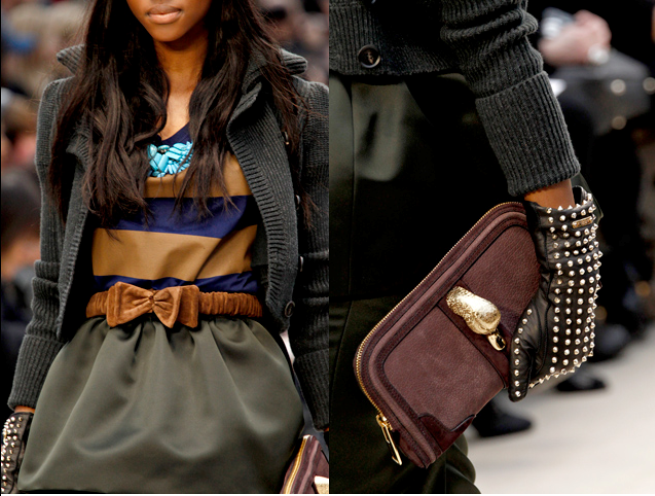 Burberry Prorsum’s Autumn/Winter 2012-13 ready-to-wear collection shown at London fashion week was called ‘Town & Field’. 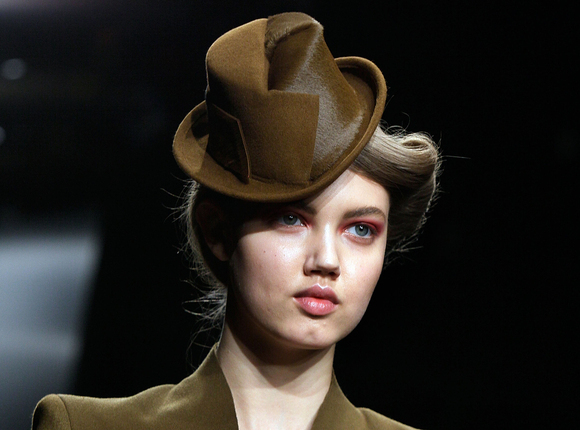 The models paraded down the runway in a gorgeous and very wearable collection full of tweeds, corduroy and velvets. 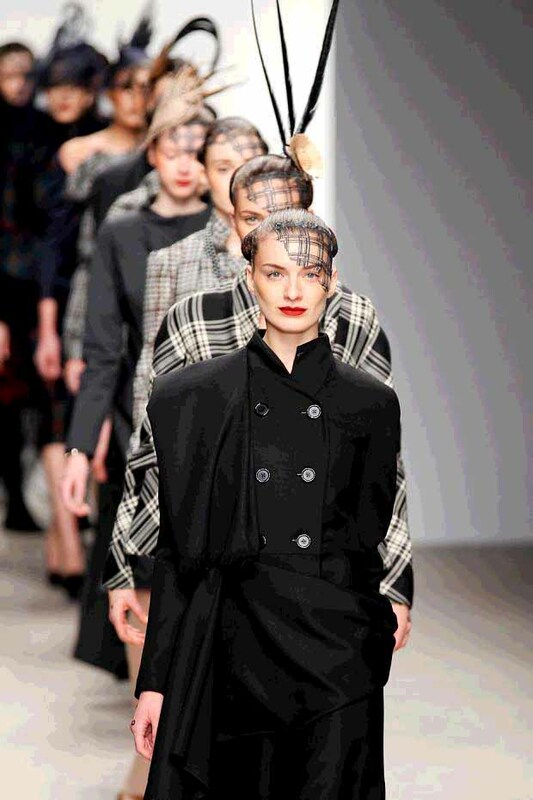 There were pencil skirts trimmed with zips teamed with stripped and printed casual T-shirts, white shirts with balloon sleeves, coats in classic Burberry mac material with contrasting tweed panels or sumptuous padded velvet or cropped padded bomber jackets. 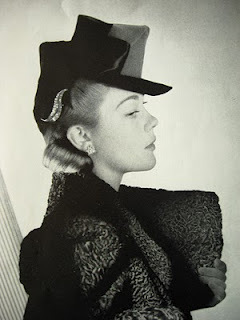 Waists were cinched in with elasticated belts with bows or animal heads and there was an emphasis on hips with 1940’s peplums and bulging pockets. 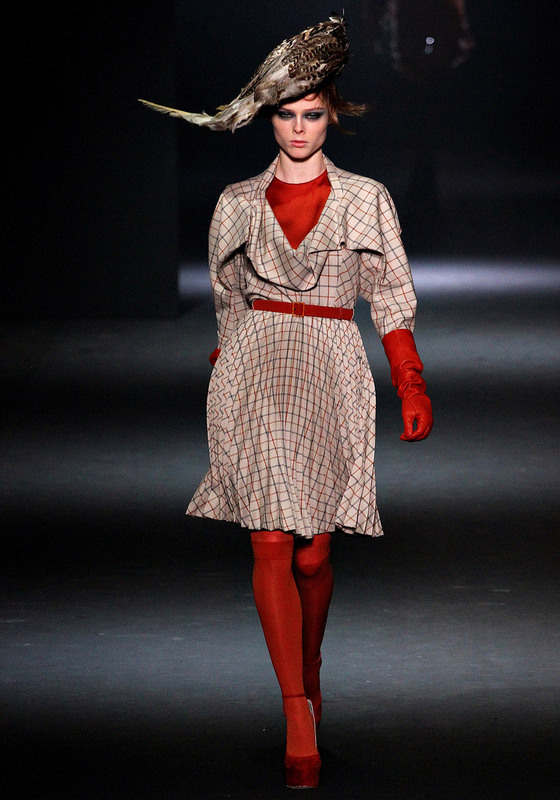 The outfits were accessorised with studded leather gloves and padded bags, lace-up stiletto ankle boots, cozy tights and gorgeous grey herringbone tweed flat caps. 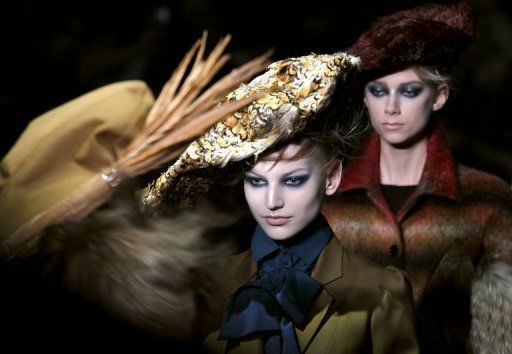 For the finale the models came down the runway holding stripped umbrellas with handles which were studded or in the shape of animal heads as they were showered with fake snow. 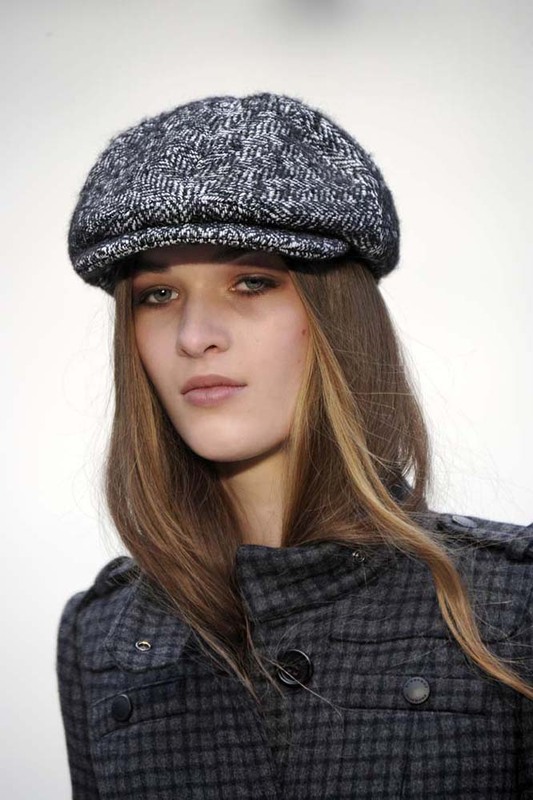 Check out my Autumn/Winter collection for some lovely flat caps. 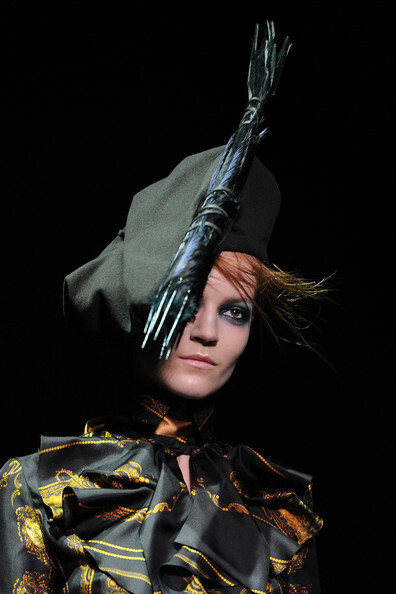 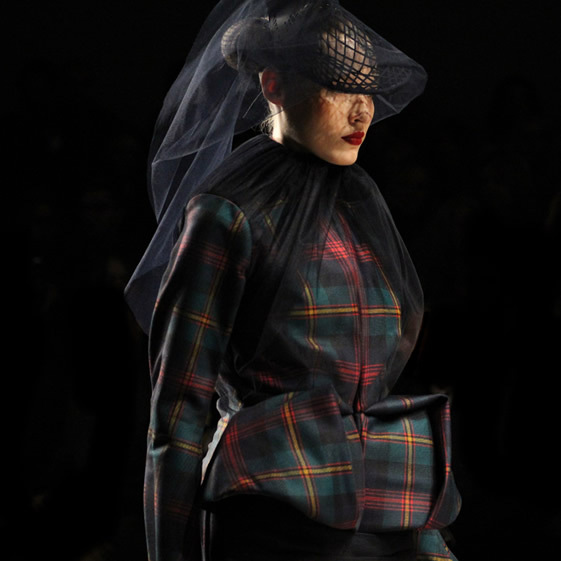 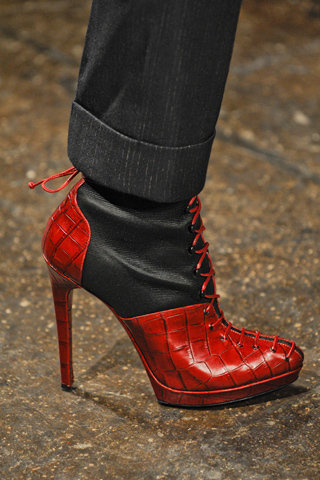 Corrie Nielsen drew inspiration from her Scottish heritage and her time spent working at Vivienne Westwood for her autumn/winter 2012-13 show at London fashion week. 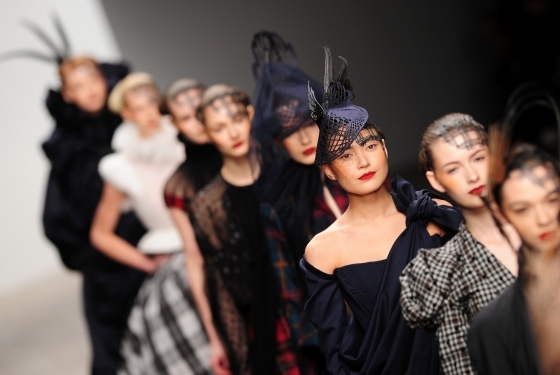 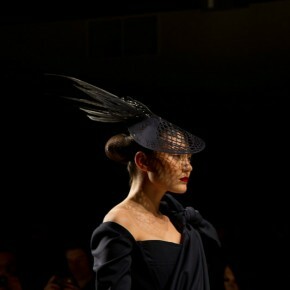 The collection was full of plaids and tartans and was topped off with fabulous feather and veil headpieces by Emma Yeo. 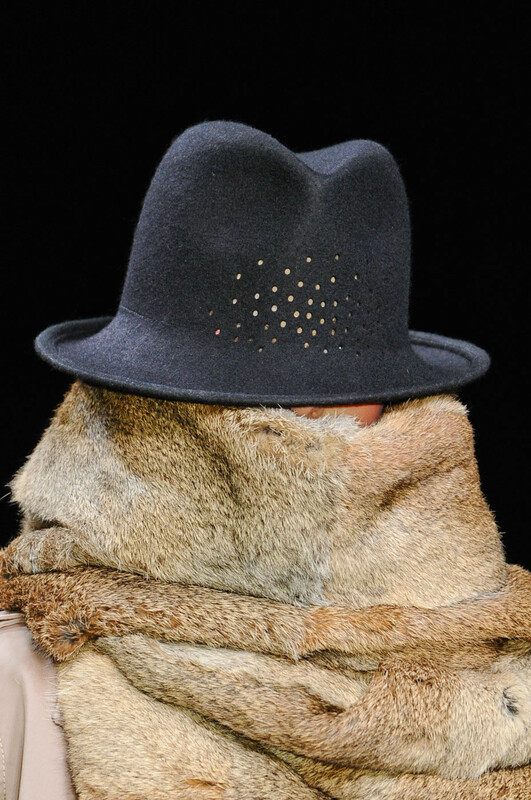 Having a ‘bad face day’ or need to go incognito? 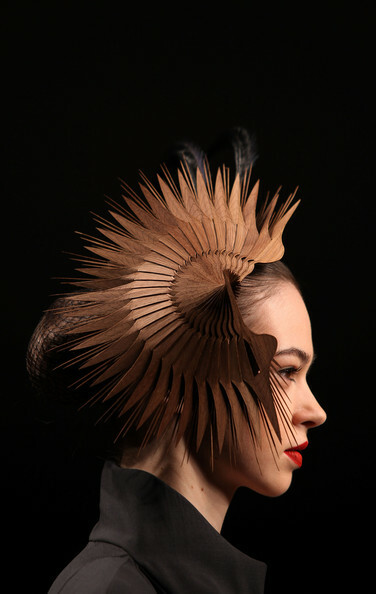 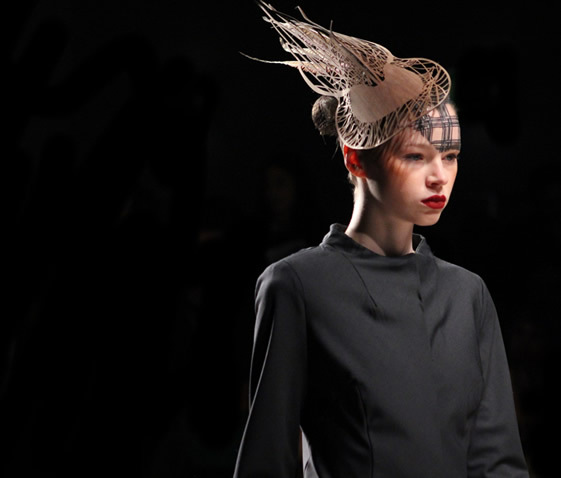 Then check out these hats by Stephen Jones that husband & wife team Felip Arickx & An Vandevorst sent down the runway at their Autumn/Winter 2012 Ready-To-Wear show at Paris fashion week. 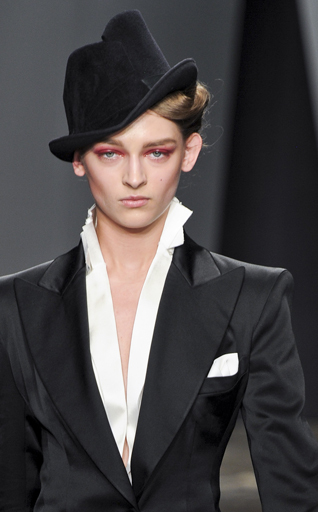 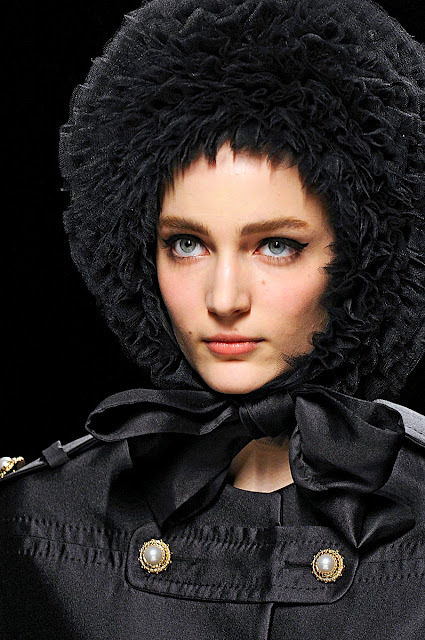 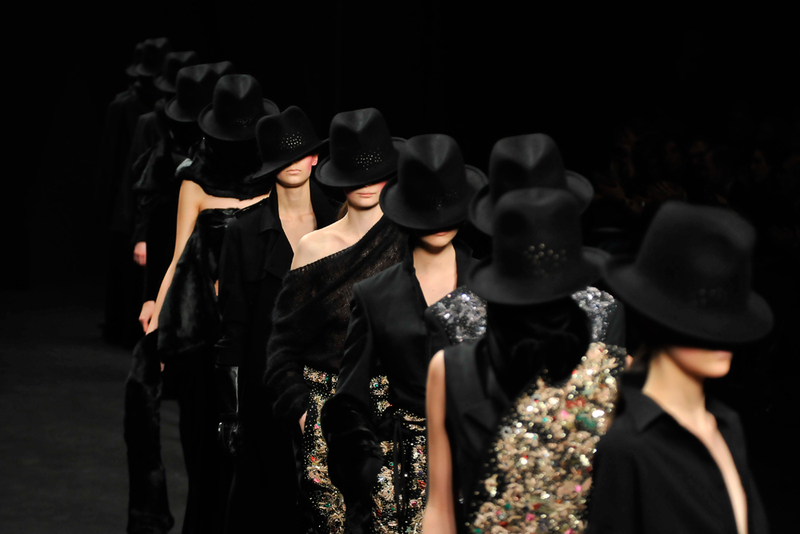 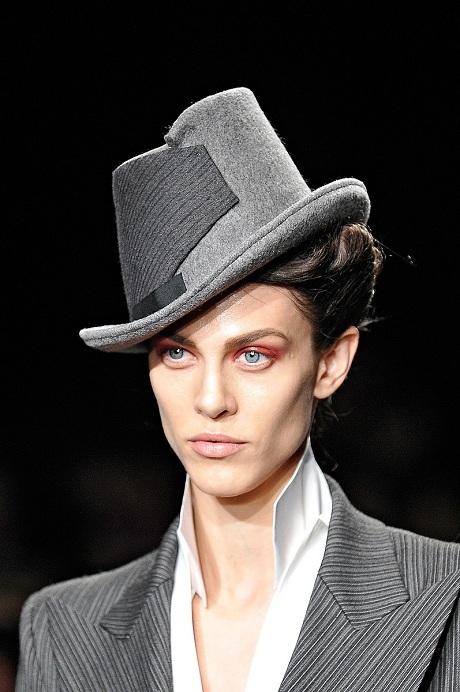 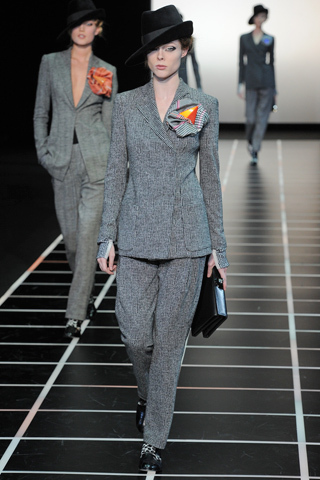 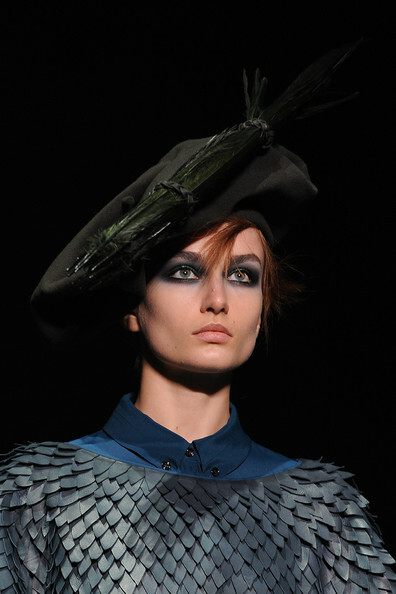 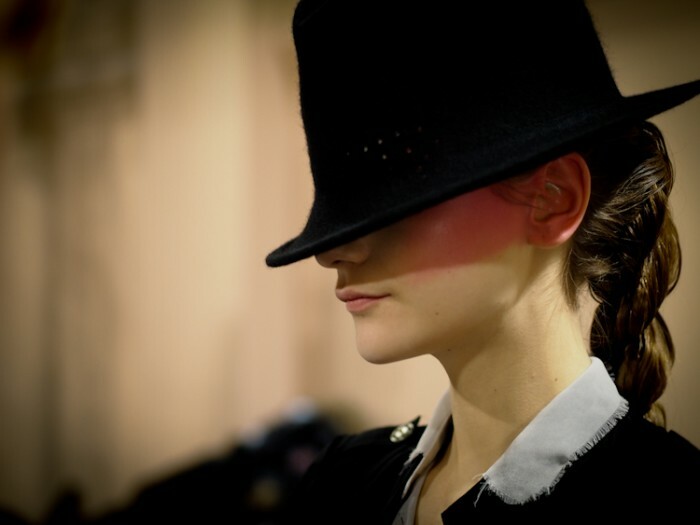 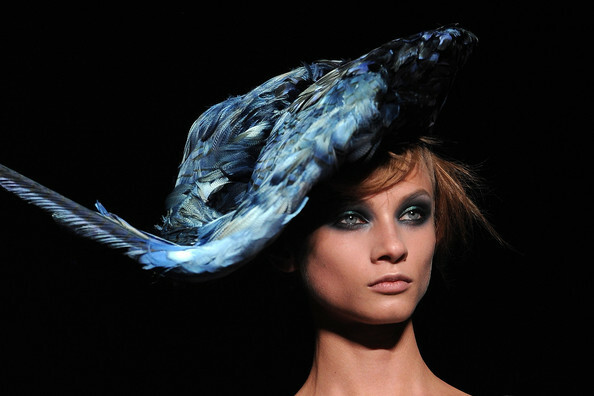 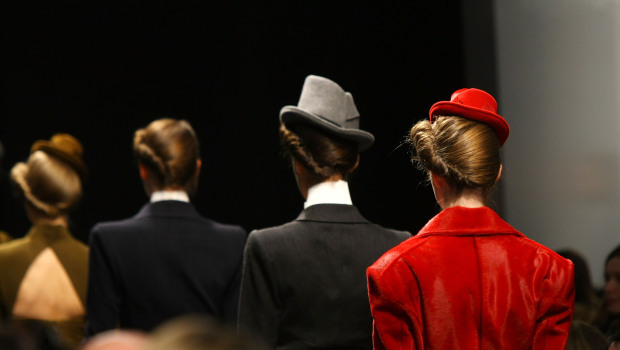 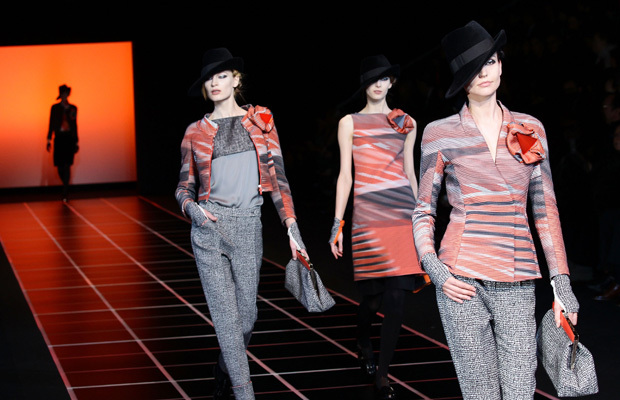 Loving the hats Giorgio Armani sent down the runway at Milan fashion week for his ready-to-wear autumn/winter 2012-13 collection. 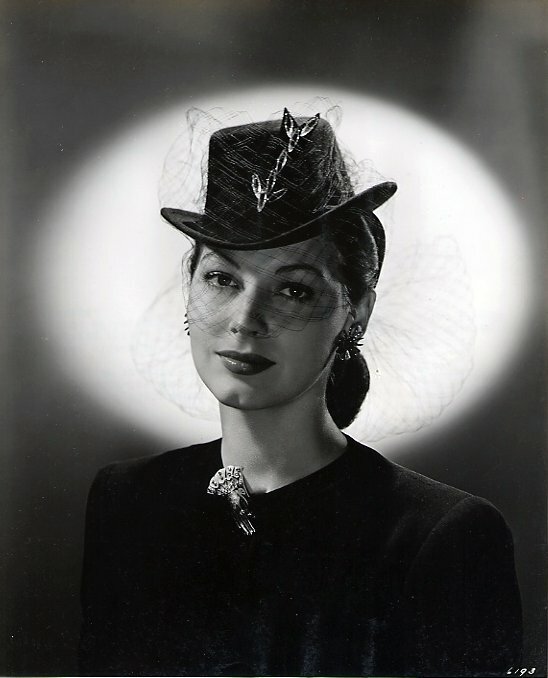 I love that 1940’s style brim that comes down over one eye, adds such mistique. 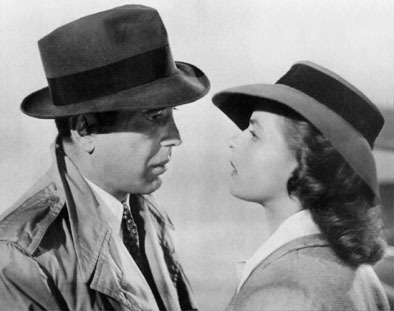 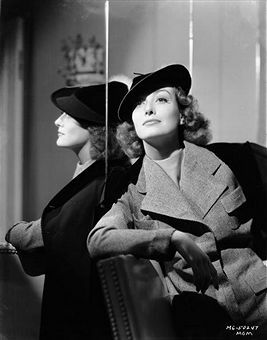 Made me think of Ingrid Bergman and Humprey Bogart in Casablanca and Joan Crawford who wore alot of that style of hat. 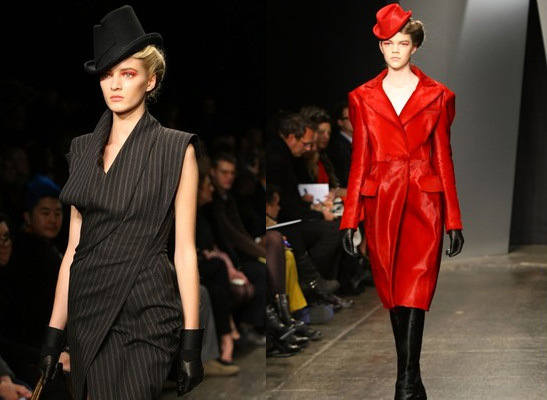 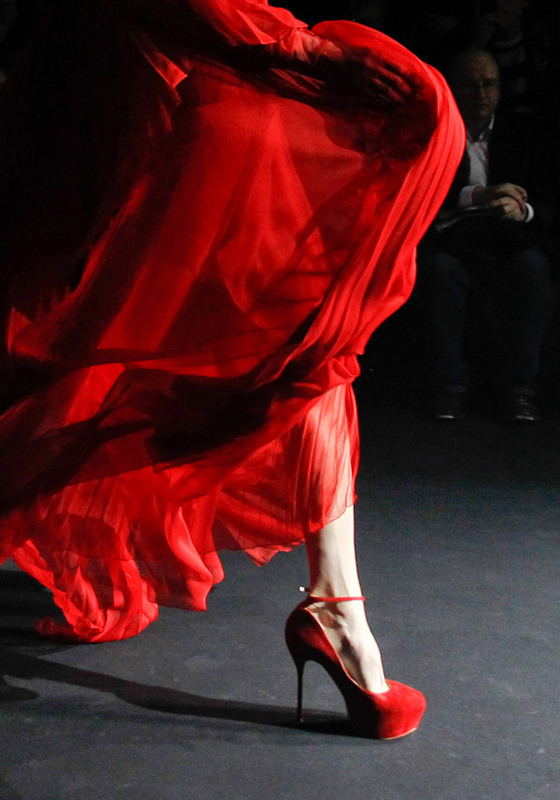 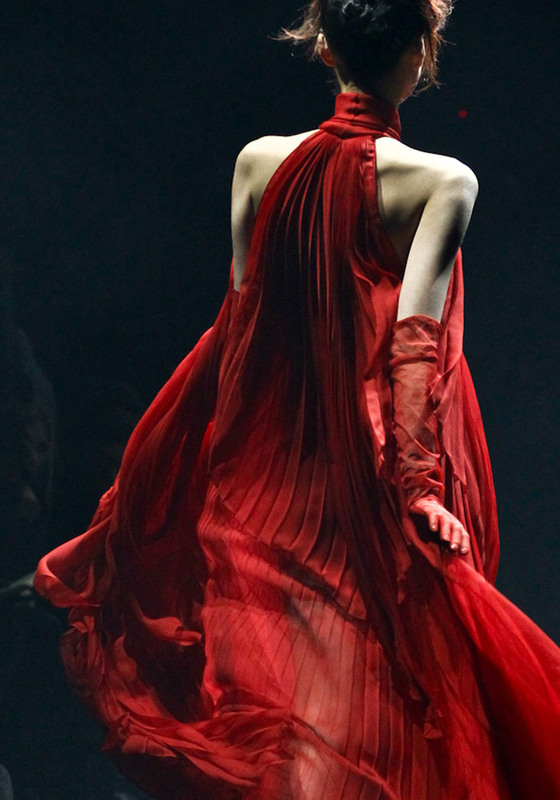 Donna Karan’s ready to wear Autumn/Winter 2012-13 show at New York fashion week saw strong masculine tailoring in a pallette of black, white, grey, olive and red in rich fabrics, topped off with gorgeous 30’s inspired hats by Stephen Jones . 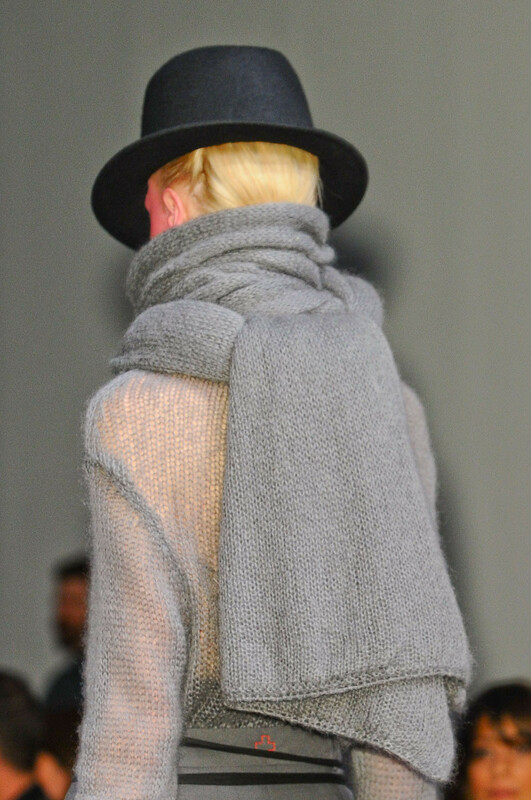 Making us look forward to Autumn/Winter already!